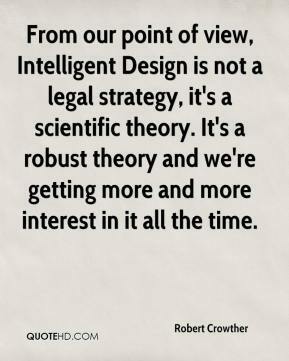 From our point of view, Intelligent Design is not a legal strategy, it's a scientific theory. 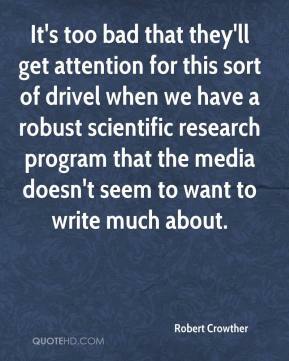 It's a robust theory and we're getting more and more interest in it all the time. It's too bad that they'll get attention for this sort of drivel when we have a robust scientific research program that the media doesn't seem to want to write much about. 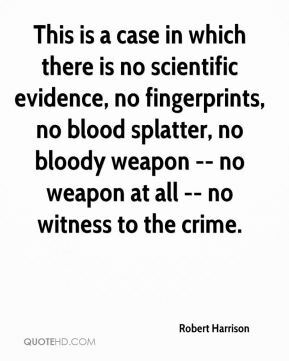 This is a case in which there is no scientific evidence, no fingerprints, no blood splatter, no bloody weapon -- no weapon at all -- no witness to the crime. This matter is grave enough to shake the very foundations of scientific research. 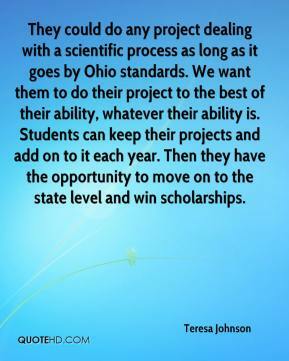 If science is the driver, what scientific activities are going to dominate? 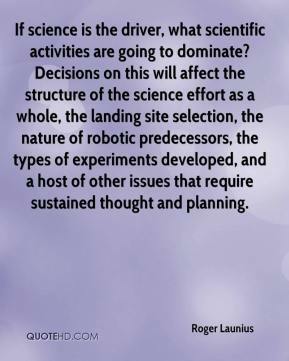 Decisions on this will affect the structure of the science effort as a whole, the landing site selection, the nature of robotic predecessors, the types of experiments developed, and a host of other issues that require sustained thought and planning. 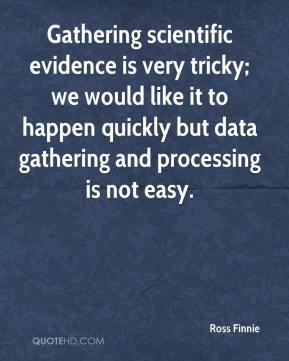 Gathering scientific evidence is very tricky; we would like it to happen quickly but data gathering and processing is not easy. 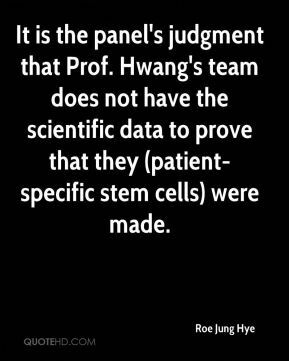 It is the panel's judgment that Prof. Hwang's team does not have the scientific data to prove that they (patient-specific stem cells) were made. 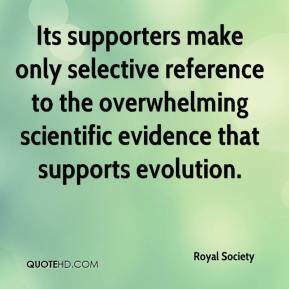 Its supporters make only selective reference to the overwhelming scientific evidence that supports evolution. 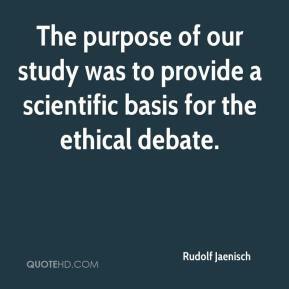 The purpose of our study was to provide a scientific basis for the ethical debate. I've been a little perplexed. I've always felt that Boston Scientific offers have been superior. 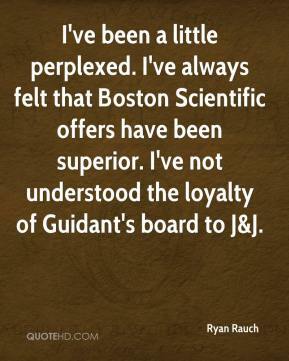 I've not understood the loyalty of Guidant's board to J&J. [The scientific consensus on the strength of the sound recordings from that region was] very, very exciting, ... 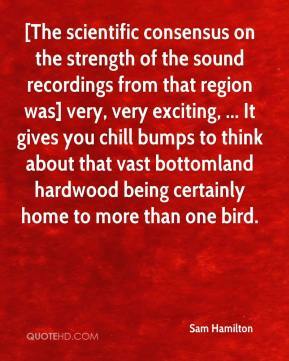 It gives you chill bumps to think about that vast bottomland hardwood being certainly home to more than one bird. 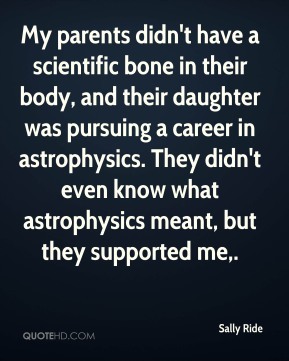 My parents didn't have a scientific bone in their body, and their daughter was pursuing a career in astrophysics. They didn't even know what astrophysics meant, but they supported me. 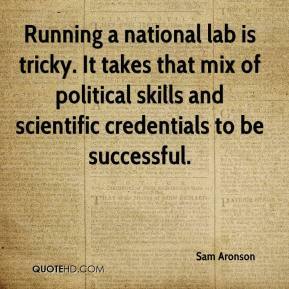 Running a national lab is tricky. It takes that mix of political skills and scientific credentials to be successful. 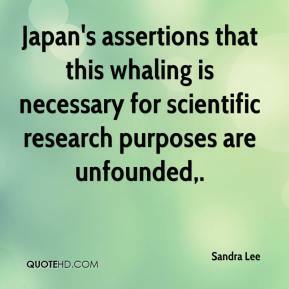 Japan's assertions that this whaling is necessary for scientific research purposes are unfounded. 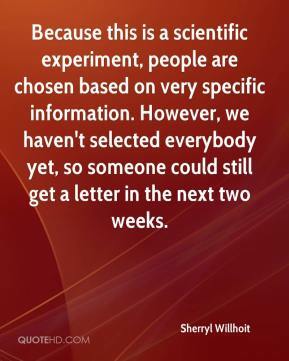 Because this is a scientific experiment, people are chosen based on very specific information. However, we haven't selected everybody yet, so someone could still get a letter in the next two weeks. 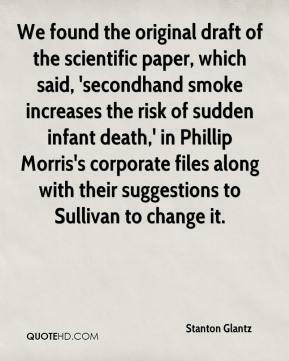 We found the original draft of the scientific paper, which said, 'secondhand smoke increases the risk of sudden infant death,' in Phillip Morris's corporate files along with their suggestions to Sullivan to change it. 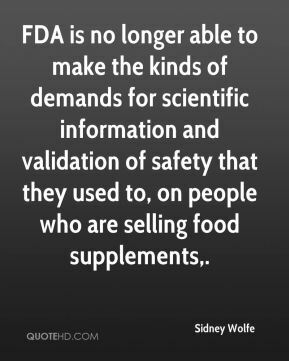 FDA is no longer able to make the kinds of demands for scientific information and validation of safety that they used to, on people who are selling food supplements. 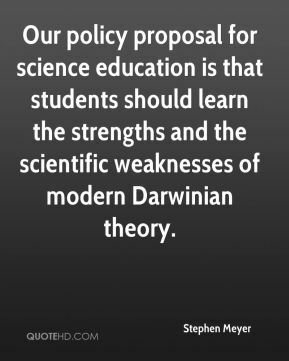 Our policy proposal for science education is that students should learn the strengths and the scientific weaknesses of modern Darwinian theory. 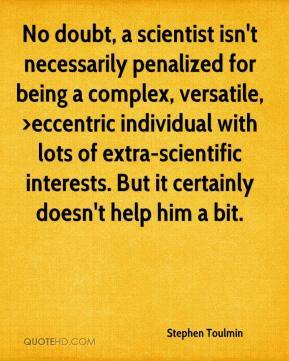 No doubt, a scientist isn't necessarily penalized for being a complex, versatile, >eccentric individual with lots of extra-scientific interests. But it certainly doesn't help him a bit. 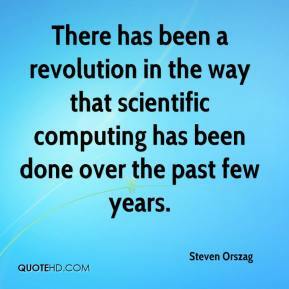 There has been a revolution in the way that scientific computing has been done over the past few years. 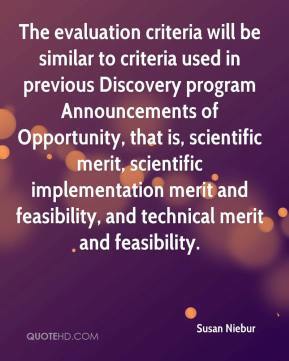 The evaluation criteria will be similar to criteria used in previous Discovery program Announcements of Opportunity, that is, scientific merit, scientific implementation merit and feasibility, and technical merit and feasibility. 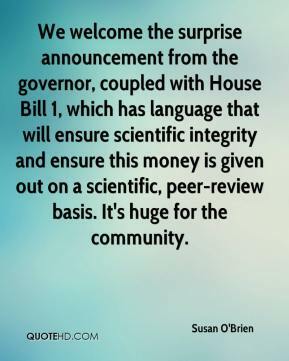 We welcome the surprise announcement from the governor, coupled with House Bill 1, which has language that will ensure scientific integrity and ensure this money is given out on a scientific, peer-review basis. It's huge for the community. 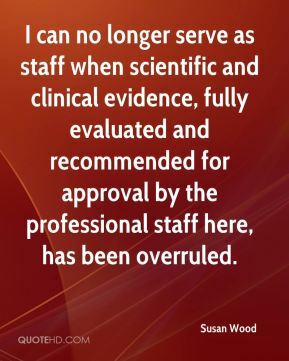 I can no longer serve as staff when scientific and clinical evidence, fully evaluated and recommended for approval by the professional staff here, has been overruled. 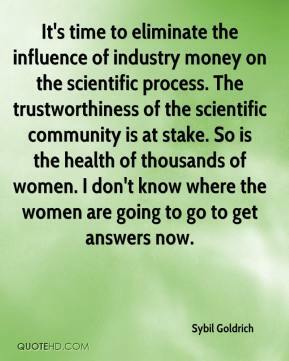 It's time to eliminate the influence of industry money on the scientific process. 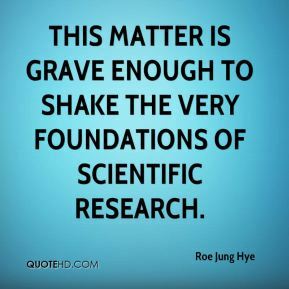 The trustworthiness of the scientific community is at stake. So is the health of thousands of women. I don't know where the women are going to go to get answers now.